Few carriers in Europe have already started rolling out Windows 10 Mobile to some Lumia devices. However, the long-awaited update is yet to officially begin worldwide. Seems like we are almost there as the update has gone through carrier testing and is only waiting for Microsoft’s confirmation. Hello Microsoft, how about giving a YES already? Vodafone Australia is reporting to have completed the testing of Windows 10 Mobile on its devices, and is now waiting for Microsoft’s approval before rolling out the new operating system to the Windows Phone devices. Posted on their support page, testing of the upcoming OS has been completed on Lumia 640, Lumia 640 XL, Lumia 735, and Lumia 930. Some carriers reported earlier that Windows 10 Mobile roll out was to start yesterday, so the information seems to be ambiguous as ever. While we don’t know when the software push will start, it certainly seems imminent now, possibly coming out in the month of January. Like Windows 10 desktop, the Mobile version will also be pushed out in multiple stages. 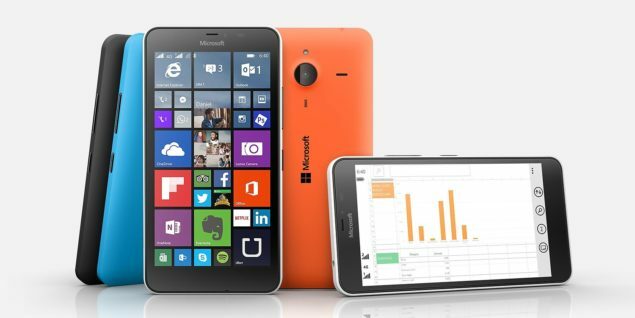 At the first stage, only a small set of Windows Phone devices will receive the new OS. Lumia 640, 640 XL, and Lumia 930 are part of this list. The high-end Lumia 1520 along with some mid-rangers will receive the update in the second wave, earlier slated for February. Windows 10 Mobile build 10586.63 is expected to be the released version coming to Windows Phone users. The build has already shipped to Fast ring members of the Insider program and reportedly is done with carrier testing too. According to reports, the build will be released to the Slow ring members along with the Windows Phone users in the coming week(s). This “soon” is apparently not that soon as Bouygues Telecom has tweeted that the Windows 10 Mobile upgrade for Windows Phone 8.1 handsets won’t begin until late February. Seriously, Microsoft? It might just be a good news because a delay in this case means a stable OS, but consumers certainly deserve a timeline that Microsoft can follow with. To our readers on Windows Phone 8.1 devices, hang on, it’s coming. Almost there!